PLANS remain modest with promising mare Itz Georgiaonmymind despite her victory at Tabcorp Park Menangle last night. Picking up where she left off before injury struck last year, Itz Georgiaonmymind will be eased through the grades by trainer Mark Callaghan. Although he is positive the daughter of Big Jim will have no trouble working her way through the classes, Callaghan prefers to “take my time with her”. 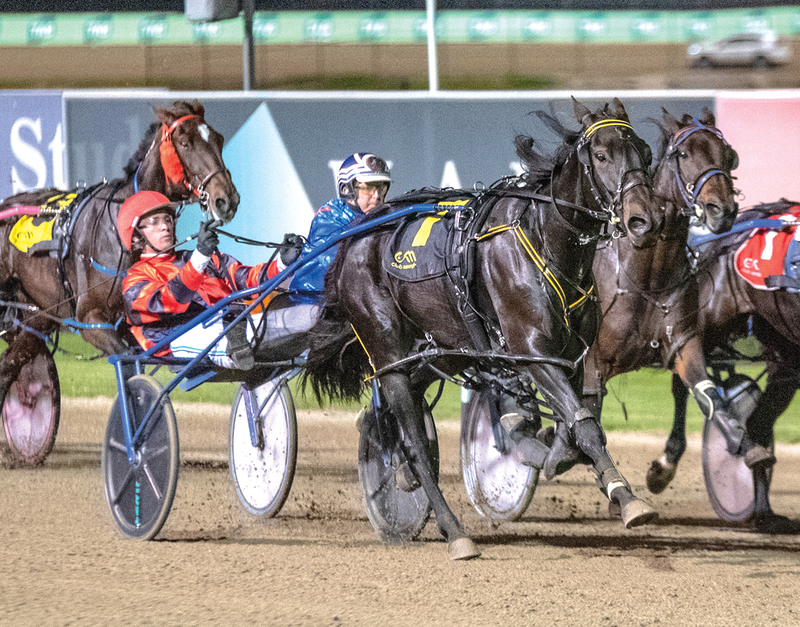 Itz Georgiaonmymind won her first three starts before breaking a pedal bone during her 40-metre Tamworth win in February 2018. Since returning the four-year-old has registered three wins and two seconds from six outings. “She’s finding confidence and is improving with each run, which is a good sign. Driven by star reinsman Todd McCarthy, Itz Georgiaonmymind settled midfield from barrier seven as Young Cambo led from the pole. Forced to the extreme outside on the home turn, Itz Georgiaonmymind sprinted to a two-metre win from Rock Bottom, with Young Cambo a half-neck away third. “After her heat, which was a good run from a tough draw, I kept her reasonably fresh and only gave her a trail, which had her in good shape, so I knew she would run a good race,” Callaghan said. Covering the mile in 1:54, Itz Georgiaonmymind provided McCarthy with the fourth leg of a driving quintet. Dominating the nine-race card, McCarthy was also successful with Replaced Eye, Persimmon, Majordan and Its Elvis, with the latter three trained by Kevin Pizzuto. 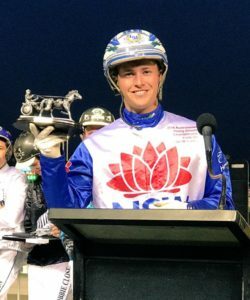 It’s the second time McCarthy has driven five winners at a meeting, with his previous haul recorded in Newcastle on May 3, 2014.